Kidcam offers 10 weeks of summer fun with all the best activities offered at Oak Mountain State Park. Full summer and weekly camp sessions are available online now for registration. Purchase only the weeks you need and build your summer around you! Kidcam’s engaging weekly themes are action-packed with activities that promote fun, fitness, friendship, and creativity each week of camp. 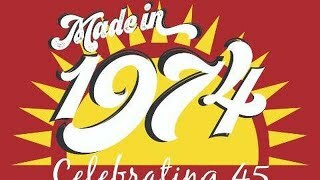 Made in 1974 is the theme for summer 2019, as we celebrate our 45th Anniversary, and campers will have a weekly throwback fun each week to programming, as well as enjoy their choice of a variety of new programs, activities and challenges led by their camp counselors. At Kidcam, summer camp isn’t just something we do, it’s all we do. And we strive to do it better than anyone else. Creating meaningful summer experiences for kids ages 5-13 is our focus 365 days a year. We pride ourselves on creating a welcoming, safe and supportive summer family where every child is treasured for what makes him or her unique. Through our long-standing traditions and values, we create a sense of belonging that gives children the confidence to be who they are. While enjoying a summer of fun, adventure and wonder, Kidcam campers are made to feel that they are a part of something truly special. We call it the Kidcam difference. Our campers call it summers that rock! THE KIDCAM DIFFERENCE. WE DON’T JUST BELIEVE IT… WE ACHIEVE IT! Camp Days: Monday through Friday, 9:00 a.m. to 3:00 p.m.